The Jamaican Jobs Wanted Forum - Post and Search for Jobs for Free!! ...in this Jamaican Jobs Wanted classified ad forum! With the world economies as they are now, there is an even greater demand for jobs (or better jobs) by job-seekers. And, we recognize the deep need for potential employees and employers to connect. SO, with well over 700,000 page views each month, we at my-island-jamaica.com have seized the opportunity to help connect employers and employees; they are, of course, a large part of our large daily audience. From here, employers are able to post job vacancies and view job-wanted posts by job-seekers, while job seekers are able to post their job requests and view vacancies posted by employers! Of course, both will be able to respond to the other via comments to the post, or make contact directly. 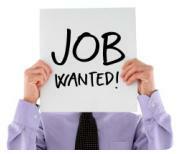 If you are seeking a job, please click here to post your job-wanted classified ad. This is unique and revolutionary form of classified ads - as, not only is this a completely FREE service we offer here on my-island-jamaica.com, readers will be able to respond to postings through comments. "Why should the company hire you"?, "What can you offer the company?" or "Why should the hiring manager choose you over the next candidate"? Your answers will provide a good idea of your profile and could very well be the defining factor in terms of YOU been contacted. You may include your contact details in your request or check the 'notification options' to ensure you are emailed when an someone responds to your request. Click Here to post your 'JobWanted' classified now. Here are other job-wanted ads already posted by others like you. For the Employer section of this forum, click here to post a job offer, completely free at this time. Return to User Forums from Jamaican Jobs. Return to My Island Jamaica Homepage from Jamaican Jobs. Please however, be as detailed as possible. "Why you over the next candidate"? This will provide a good idea of your profile and could very well be the defining factor in terms of you been contacted. You may list your contact information, but may also choose to have the employer respond by commenting on your post. Please explain why the employer should consider YOU. If you already had your posting prepared, simply copy & paste! Your post will appear on a Web page exactly the way you entered it here!! You can wrap a word in square brackets to make it appear bold. For example [my story] would show as my story on the Web page containing your story. Here is a listing of the other job requests we have been asked to post. I'm hard working. A student that needs money to continue her studies in nursing. have a lot of skills including-Microsoft office.